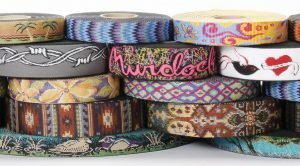 Murdock’s Jacquard products make webbing not only functional but fashionable. 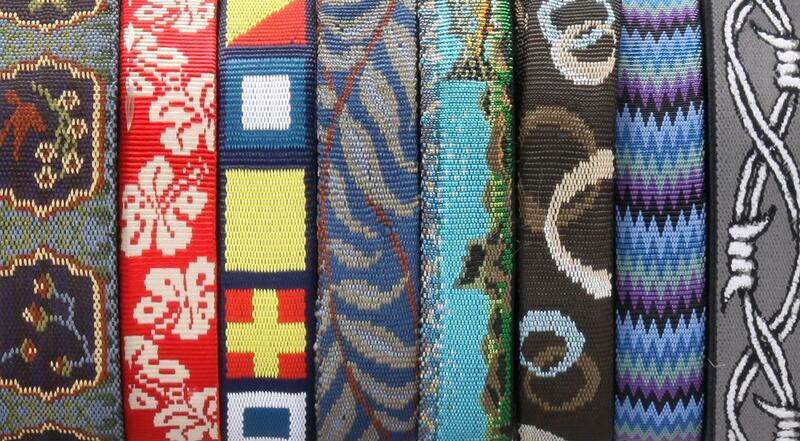 Our Jacquard items can enhance the look of everything from belts to backpack straps, climbing harnesses, or headlamps. We have developed a large variety of innovative products in order to meet our customer needs. Our in-house design team is available to develop custom patterns from scratch. Custom branding and logo abilities are available to help your company’s product stand out from the competition. When choosing the Jacquard woven construction, the performance life of the webbing extends significantly past printed options. Our Jacquard webbing has proven to be abrasion resistant and maintains the integrity of the surface designs after 1000’s of cycles on an abrasion machine. This translates to highly effective products and functionality for a longer period of time. Value added finishes and applications are available upon request for Jacquard webbing.